Greater Manchester Mental Health NHS Foundation Trust is committed to achieving and sustaining service that deliver safe, effective and efficient care, one of the ways that we strive to achieve and drive quality is to support learning through the identification and investigation of incidents. An incident can be defined as an unplanned or unintended occurrence that results in the potential for or actual harm, this harm or potential harm can be to a service user, their family or carer, a member of staff or the wider public. To read more about incidents and investigations, click here. 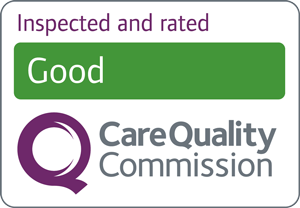 On 16 July 2009, the Care Quality Commission published their review of "Safeguarding Children" whilst the report found general areas of good practice they also identified areas for further improvement. NHS Foundation Trusts have been asked by Monitor, the Independent Regulator for Foundation Trusts, to publish a declaration in relation to their Trust Boards being assured that appropriate and robust child safeguarding procedures are in place. In March 2017 NHS Improvement published the ‘learning from deaths framework’ to help standardise and improve the way acute, mental health and community Trusts identify, report, review, investigate and learn from deaths, and engage with bereaved families and carers. actions taken in response, actions planned and an assessment of the impact of actions taken. To read the Learning from Deaths policy, click here. In November 2013, Greater Manchester West Mental Health NHS Foundation Trust (GMMH) was given information by the Department of Health from the Metropolitan Police Service. We were told that as part of investigations already underway under Operation Yewtree, specific information had come to light about Jimmy Savile and Prestwich Psychiatric Hospital. As this hospital is the responsibility of GMMH, the Trust Board investigated the matters arising out of the information available. We thoroughly investigated the allegations and reviewed all relevant documents, policies and procedures which exist from the time of the alleged incidences (1960s). We also interviewed ex-members of staff who may have worked around the time of these alleged incidences. The allegation was from a member of the public and did not refer to any patient-related issues or concerns, but to access to the site of Prestwich Hospital during the 1960s when it was an extremely large institution. We also took the opportunity to review current policies and processes, to check they are comprehensive and robust. What follows is the final report which incorporates the findings from our investigation. In terms of present day, a review of current policies, practices and procedures show a thorough and detailed framework of safeguarding arrangements, security management and employment checks. We believe these are a strong deterrent to the possibility of similar scenarios ever occurring. Nevertheless, we recognise the significant impact this has had on individuals. We would like to reassure everyone that throughout this investigation, we have shown care, compassion and sensitivity towards those affected and cooperated fully with all organisations involved.